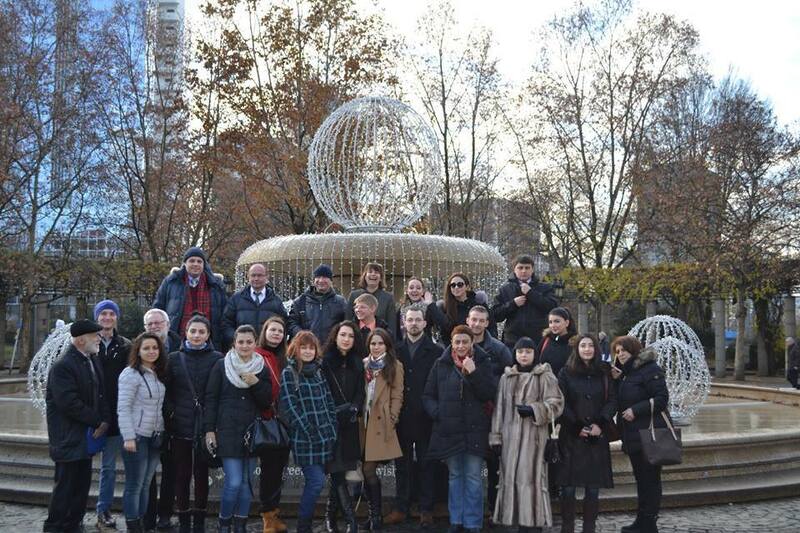 December 10, 2015, International Day of Human Rights; The youth forum for human rights from six countries of the Eastern Partnership and Russia in front of the Old Opera House in Frankfurt am Main. This project was supported by the German Foreign Office, and while it may sound theoretical at first, it has taken a lot of time this year. The following is a short report on the implementation in practice and the importance of personal human encounters in human rights work. Due to the history of its formation, the ISHR has independent sections in all countries of the Eastern Partnership (EaP) and in Russia. Today, it has 37 sections in countries around the world. The sections of the six EaP countries and Russia chose three politically or socially engaged young people to take part in the project. These young people gathered in September 2015 at the first workshop in Kiev, Ukraine, to get to know each other and discuss with one another. They were accompanied by the ISHR section leaders, as well as human rights defenders from other NGOs. Thanks to the support of the European Investment Bank, all participants were equipped with a laptop, and without help from the transport company Rhenus Revival, we would not have been able to transport them to Ukraine. With this technical assistance, a joint Facebook page was launched. 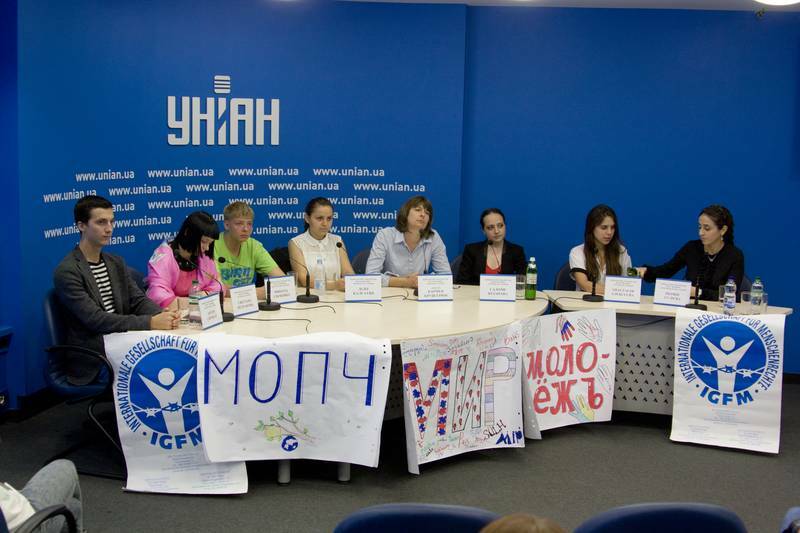 During the final press conference in Kiev, the young people shared their first impressions of the project, and surprised and convinced us, with their youthful vigor, openness, and will to work together for peaceful solutions to promote human rights throughout their conflict-ridden region of the world. 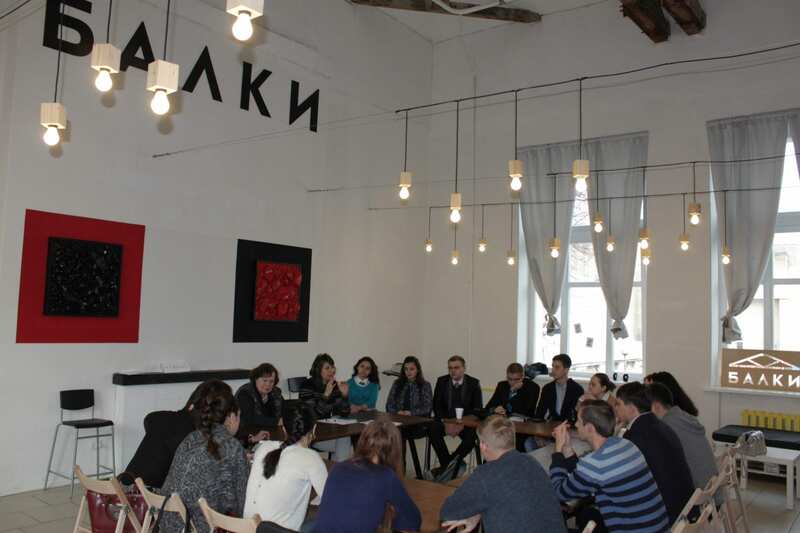 The second workshop was held in November in Minsk, in which the young people primarily addressed the ethnic and territorial conflicts from case studies in the individual countries. Nikolaj reported on Transnistria, his home, where he can no longer return to, as well as on his life in a refugee camp in Chisinau. Salome, a participant from Georgia, recounted her parents’ flight from Abkhazia, her home; she concluded her report in tears and was comforted by all the other participants. Even when reporting on the situation in Ukraine, there was a sense of direct involvement of all participants. 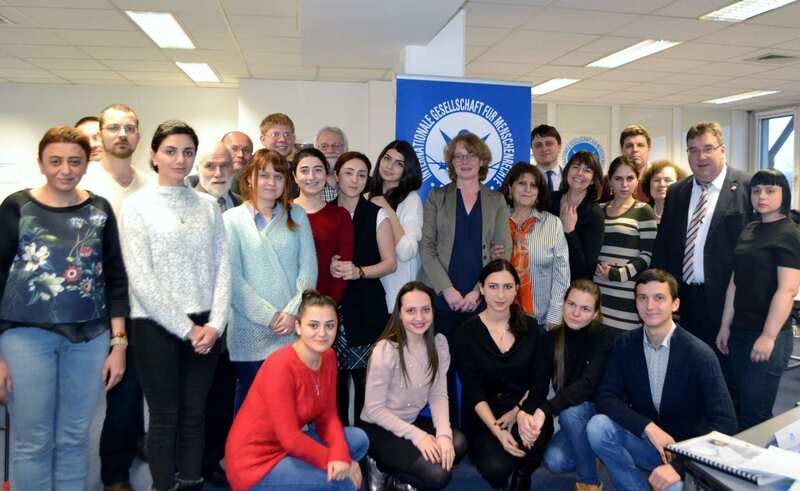 However, the issue of Nagorno-Karabakh remains a deep open wound; it was sometimes better to redirect discussion back onto common objectives, as the experienced ISHR section leaders who accompanied the young people in Minsk did. Unfortunately, a final press conference in Minsk could not be registered because no one from the state was willing to declare responsibility for it. 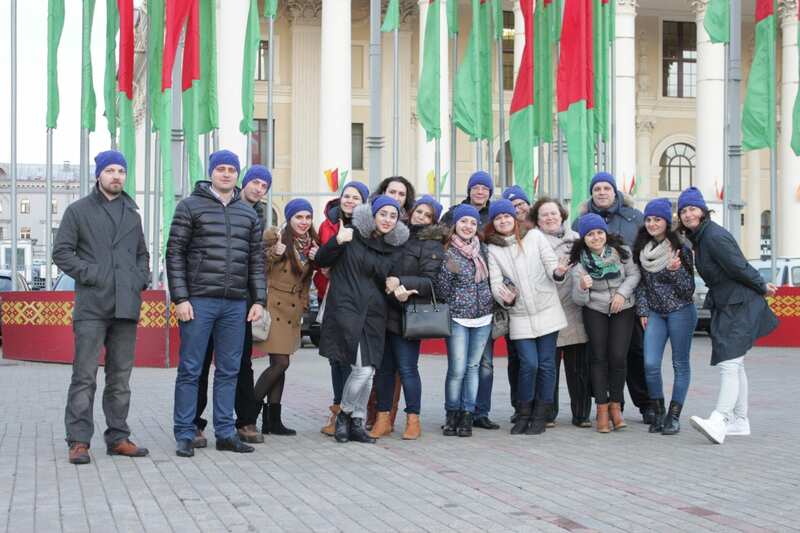 Nevertheless, the group was able to move freely in Minsk and there was already a familiar and friendly atmosphere. 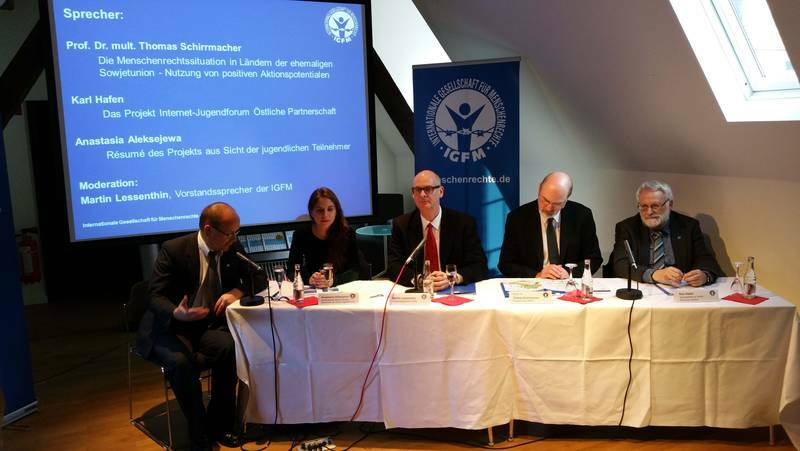 In December, the new youth forum met in the IGFM headquarters in Frankfurt am Main. 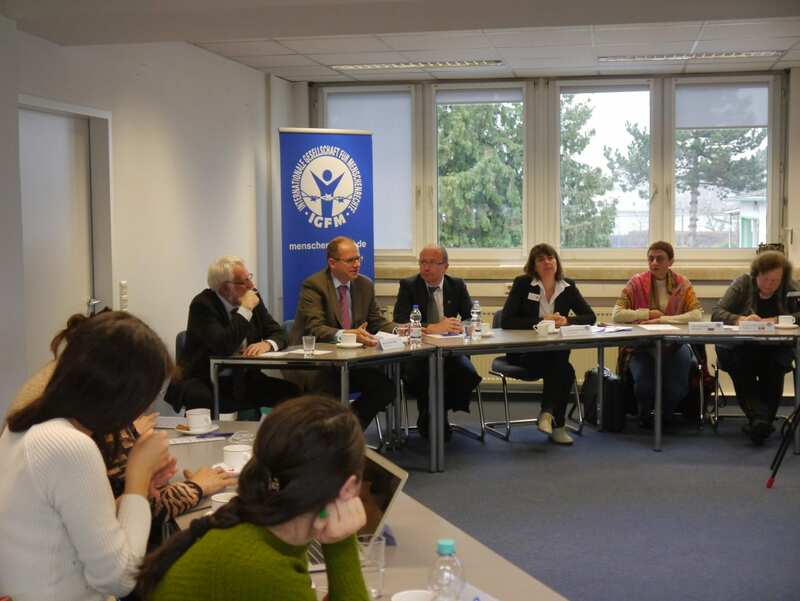 In Frankfurt, the theme related to the different possibilities within human rights work. Employees from the IGFM office reported on their areas of work. Working with youth groups, on the Internet, at information stands, in humanitarian aid, and a country-specific in the example from Africa was presented and much more. 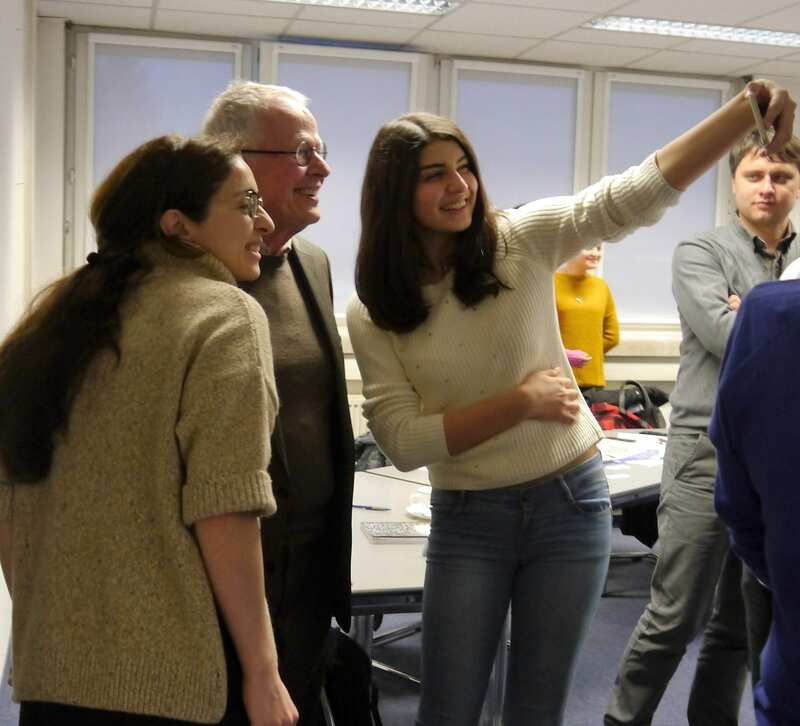 Special highlights were the speakers from important politicians who gave their time for young and old human rights activists, including Tabea Rößner, Michael Brand, Tom Koenigs, and Hessian State Secretary Mark Weinmeister. By visiting the group in person with their exciting contributions, they gave a piece of their time, a piece of their lives. That is what constitutes human rights work. The participants felt this important personal contribution and it strengthened their commitment. Finally, a lively example from the youth forum: It comes from a young Moldovian, Dimitrij Grebenko. He came to me in Kiev several times and said he was afraid that he did not fit into this project. From what I had discussed, for example, with our section leader from Azerbaijan (Dr. Saadat Benanyarli, rapporteur for the European Assembly), he had not understood a word; he did not know all of the names that were mentioned in the discussion. He thought that maybe it was wrong to have chosen him. Check out the Facebook page of the Youth Forum: www.facebook.com/ishr.youth. Three months after its opening in September 2015, it has reached 20,000 people from the entire region, and it has been featured in the IGFM documentation “Human rights in the countries of the former Soviet Union”. The German Foreign Office, Tabea Rößner, Michael Brand and Tom Koenigs, the German State Secretary, Mark Weinmeister, Martina Feldmayer, MdL, Hessen; Regula Spalinger, G2W, Switzerland; Boris Glasunov, director of the Babij Jar memorial in Kiev; Anton Alekseev, project assistant, Kiev; Dimitrij Rahr, interpreter; Prof. Dr. Mult. Thomas Schirrmacher, President of the International Council of the International Society for Human Rights / ISHR, and its Secretary General, Prof. Marat Zachidov; The European Investment Bank, Luxembourg; The transport company Rhenus Revival, in particular Mrs. Dorenskaja, traffiQ Frankfurt, Marion Peterwitz.